Laurie Here - Contemporary Fiction and MORE - Book Reviews: SUMMER GIVEAWAY BLOG HOP!! The SUMMER GIVEAWAY BLOG HOP! I want to take this time to thank I Am A Reader and Not a Writer and Bookhounds for sponsoring this AWESOME Blog Hop! THANK YOU! Please CLICK on the ***GIVEAWAYS*** & SUMMER BLOG HOP tab to see what I am giving away AND ALL the other Blogs that are participating in this Blog Hop! 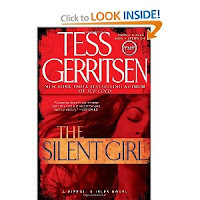 Scroll down to read this review! A Copy of the book: Life is Not a Candy Store, It's the Way to the Candy Store, by Tal Yanai Scroll down to read this review! A COPY OF THIS "ARC"! 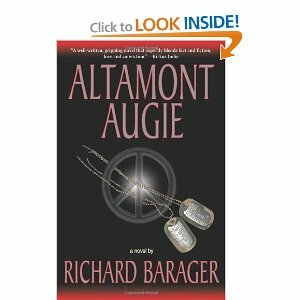 On the GIVEAWAYS PAGE, there is a Guest Post by the author, Richard Barager! 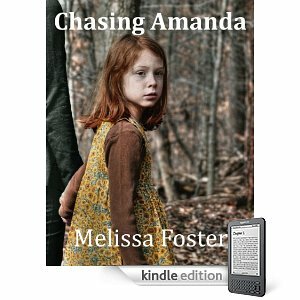 One Ebook Copy from the Author, Melissa Foster, of "Chasing Amanda"! Scroll down to read this review! "ALL THESE GIVEAWAYS ARE "ALL" GOING ON AT THE SAME TIME!! KEEP SCROLLING DOWN AFTER THE BLOGS THAT ARE PARTICIPATING IN THE SUMMER GIVEAWAY HOP AND ENTER THESE GIVEAWAYS AS WELL! "WOW"!!! IT COULDN'T BE ANY BETTER! I would love to be in this give away. Go on over to my ***ALL GIVEAWAYS*** & SUMMER BLOG HOP "TAB" AND ENTER THE FORM FOR THE SUMMER HOP GIVEAWAY AND THEN ENTER THE 2 SEPARATE FORMS FOR THE OTHER 2 GIVEAWAYS!!! I am SOOOO lucky to be able to give this HUGE giveaway away! ALL thanks to my sponsors, the Authors! And, for the Rizzoli & Isles book, thanks goes to Goodreads for their Giveaways! "I" am throwing in the $15 Gift Card! The other two Giveaways are ALL thanks to the Authors who wrote the books! I am grateful to them! Thank you!!! Again! Go on and enter! You have to scroll ALL the way down to the last 2 Giveaways! It's after OVER 300+ Blog Giveaways! Isn't that amazing! OVER 300+ Blogs participating! I think it's wonderful! These are SO much fun! I won a few books in the last Hop last month, already read and wrote reviews on them. They were SOOOO good! They were 'A Secret in the Attic' and 'The Apothecary' by Samantha Jillian Bayarr! You can go to July in the Archives and read my reviews! This is SO much fun! Good luck and keep on keeping in touch! I hope you got my email! Did you see where "You" have to fill out the FORMS yourself? I hope you understand, as I don't have all 'your' info. I would if I could! Thanks SO much for coming by! GOOD LUCK!!! I'm SO glad you came by! It sounds like you had fun and entered the Giveaways being you are a NEW Follower! I am SO glad you did! Welcome to the site and I hope you enjoy my reviews! PS. I like to read 'just a little'! LOL! I LOVE it!